I’m expecting this game will get refined controller support… it’s sort of half in there right now, but I got tired of waiting. I added in a few fancy tweaks. X button is “E” for take but on hold it’s “E” x 10. It works GREAT for grabbing all things in the vicinity and for adding a bunch of resources to a structure instead of having to keep tapping the “E” command. 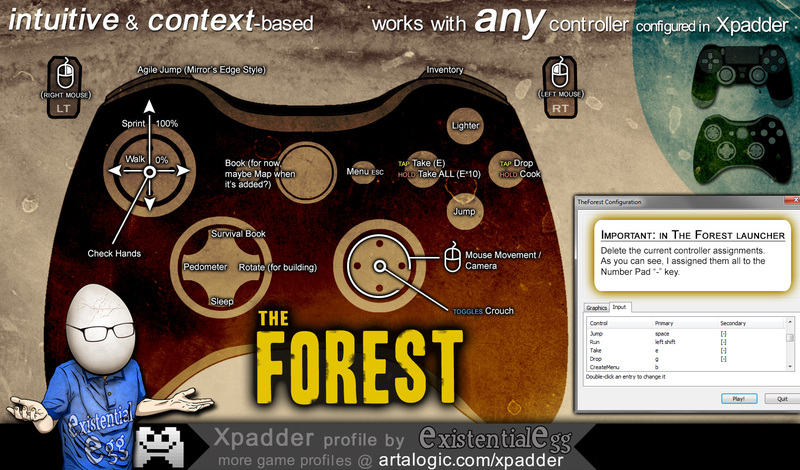 It’s important that you delete out the current controller commands in the launcher (details in image layout). Like I said, I expect this game will end up getting great controller support so I’m not sure this profile will have long legs but I’m using it so I figured I’d share.